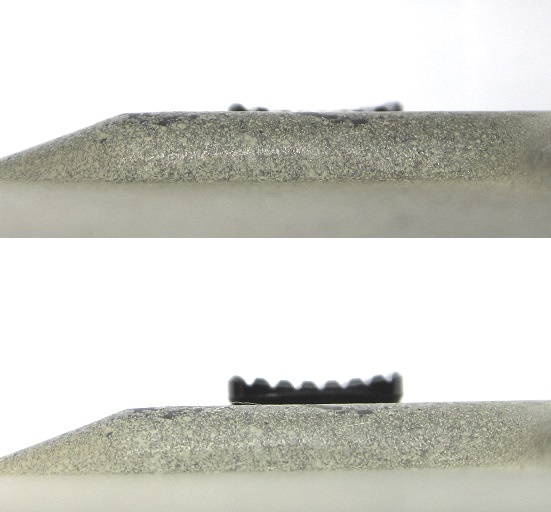 EMR's root can be traced to a concept back in 2010, to increase the usable surface area while retaining the same footprint of the factory mag release button. 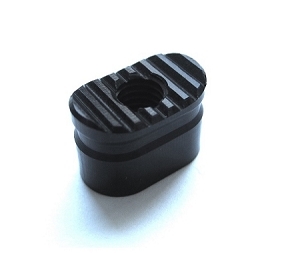 EMR achieves this by using a gentle curve on its top surface, together with the very effective horizontal serrations, inhibits vertical movement and auto centers the user's finger on the button. EMR's height is almost identical to that of a factory mag release button. Its top and bottom edge is slightly taller due to the curve, but this doesn't constitute an accidental/unintended mag drop risk which we'll discuss in detail. The "ramp" on the mag catch that engages a magazine's cutout/window is but 0.05 in height. A mag release and mag catch needs to travel 0.06 or more before a magazine is dropped, which is to say, not very much. The standard lower receiver's mag release fence was designed to mitigate and prevent accidental/unintended mag release by acting as a stop/check. Mag release buttons that protrude over the fence by 0.06 or more will effectively render the mag release fence useless, defeating a rather crucial feature on the receiver. For this reason, we recommend the EMR (with the mil spec through hole) for duty and defense ARs. EMR-C has a blind hole and continuous serrations, its taller profile is perfect for use on 308 ARs in conjunction with AR15/M16 spec mag catches. We do not recommend the EMR-C for defense and duty 223 ARs. Additionally, a factory button and our EMR both 9 full turns of the mag catch (number of turns can vary with other mag catches and buttons) till the mag catch's shaft comes to be about flush with the top of the mag release button. 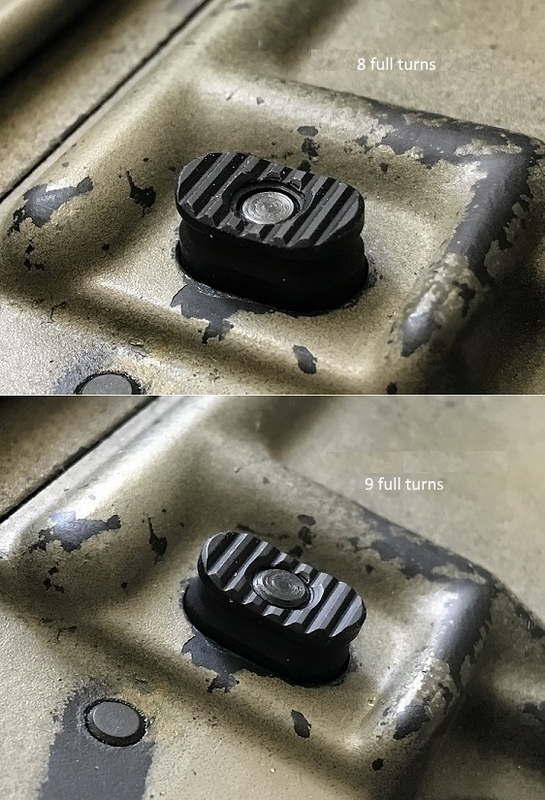 8 full turns of the mag catch result in a visible hole on the mag release button, and the button protruding over the mag release fence, while it doesn't adversely affect the mag catch or the button, it will result in a taller button on the receiver, and this practice is best avoided.